Dizziness, spinning and unsteadiness are common symptoms reported by adults and these can result from a vestibular, inner ear, disorder. There are many causes of dizziness and getting the correct diagnosis is key to effective treatment. Physiotherapy assessment can help diagnose a cause of dizziness and screen for any other causes such as neurological and cardiovascular causes. 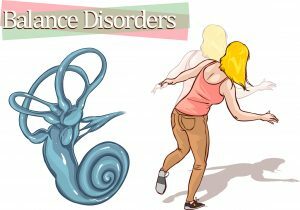 Common vestibular disorders include Benign Paroxysmal Positional Vertigo (BPPV), Neuritis such as Labyrinthitis, migraine associated vertigo, Meniere’s disease and ischaemic vertigo. The most common cause of dizziness and vertigo is BPPV. This occurs suddenly with a change of head position but settles quickly when the head is at rest. BPPV can be diagnosed simply by taking a thorough medical history, history of the symptoms and a physical examination that uses a vestibular manoeuvre called the Dix-Hallpike manoeuvre. The most common treatment for BPPV is the Epley manoeuvre which involves controlled sequential head movements into 4 positions, from sitting to side lying, to side lying on the opposite side and back to sitting again. If BPPV is not the cause of the dizziness or spinning sensations, then physiotherapy can help rehabilitate the whole balance system through vestibular rehabilitation. If you feel you may be suffering from any of these problems outlined above then please see a member of our reception staff to book in for an assessment with Perry Cayley.